In the 1840s, conditions in the Netherlands became difficult. Potato crops failed, taxes increased, and the King imposed new liberal rules on the conservative churches, but was harsh in enforcing them. This caused a Separatist movement: people leaving the State Church and forming small separate congregations in homes and barns. One such group met regularly in Jannes Vande Luyster's barn in Borssele, Province of Zeeland. The congregation was led by Rev. Cornelius Vander Meulen, who previously served twelve small Separatist congregations. Together, these two men organized the migration to Zeeland, Michigan, with Vande Luyster as the financier and Vander Meulen as the spiritual leader. Three ships were chartered to bring 425 people across the Atlantic to settle in the forest near Lake Michigan, close to Rev. Albertus Van Raalte's colony of Holland. 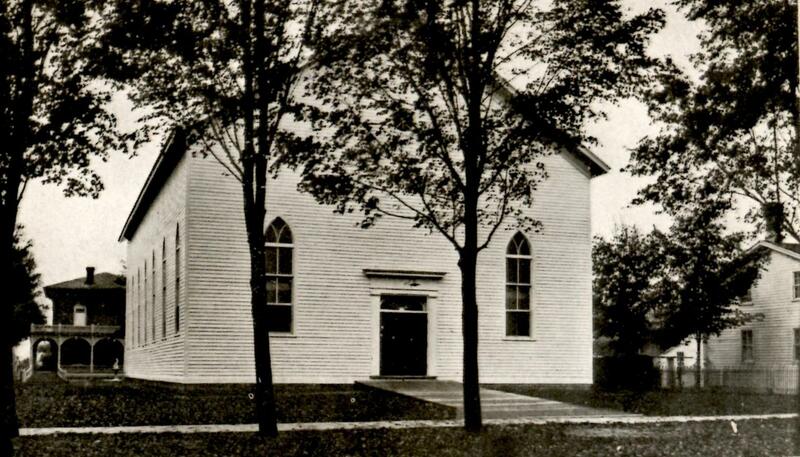 By the summer of 1847, there were 125 log cabins in the forest and a log church in the center. This became Zeeland, Michigan. 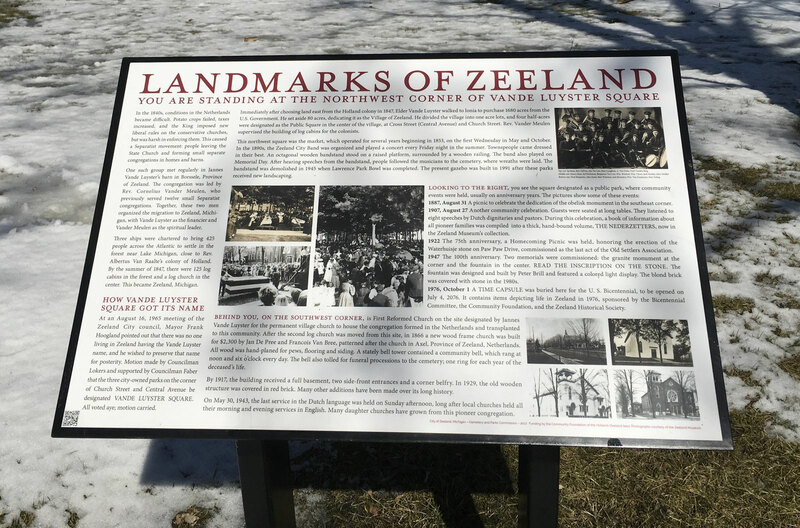 At an August 16, 1965 meeting of the Zeeland City council, Mayor Frank Hoogland pointed out that there was no one living in Zeeland having the Vande Luyster name, and he wished to preserve that name for posterity. 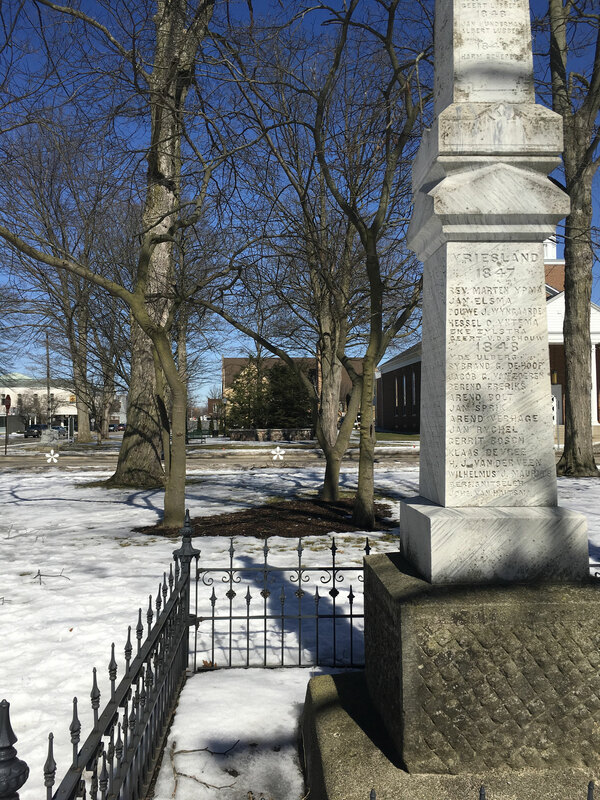 Motion made by Councilman Lokers and supported by Councilman Faber that the three city-owned parks on the corner of Church Street and Central Avenue be designated VANDE LUYSTER SQUARE. All voted aye; motion carried. 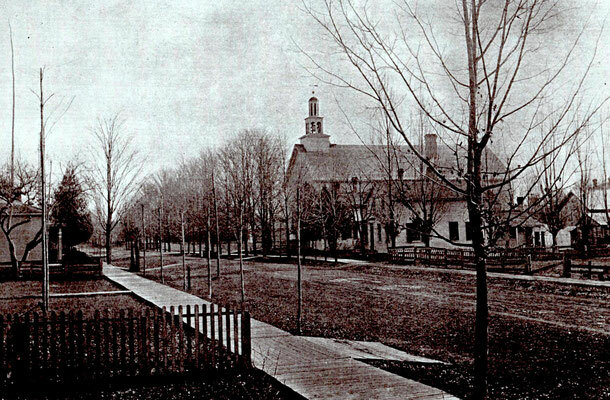 Immediately after choosing land east from the Holland colony in 1847, Elder Vande Luyster walked to Ionia to purchase 1680 acres from the U. S. Government. He set aside 80 acres, dedicating it as the Village of Zeeland. He divided the village into one acre lots, and four half-acres were designated as the Public Square in the center of the village, at Cross Street (Central Avenue) and Church Street. Rev. Vander Meulen supervised the building of log cabins for the colonists. This northwest square was the market, which operated for several years beginning in 1853, on the first Wednesday in May and October. 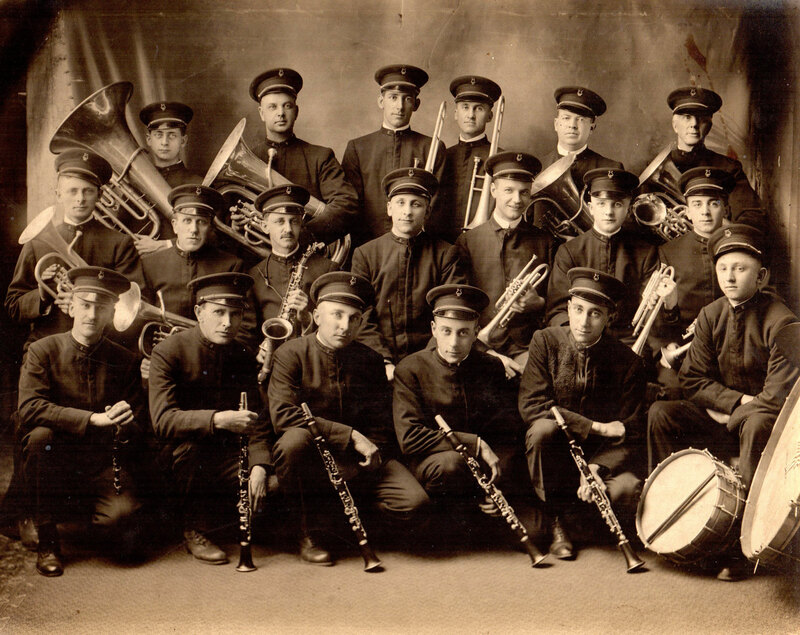 In the 1890s, the Zeeland City Band was organized and played a concert every Friday night in the summer. Townspeople came dressed in their best. An octagonal wooden bandstand stood on a raised platform, surrounded by a wooden railing. 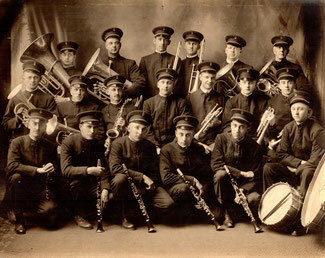 The band also played on Memorial Day. After hearing speeches from the bandstand, people followed the musicians to the cemetery, where wreaths were laid. The bandstand was demolished in 1945 when Lawrence Park Bowl was completed. The present gazebo was built in 1991 after these parks received new landscaping. 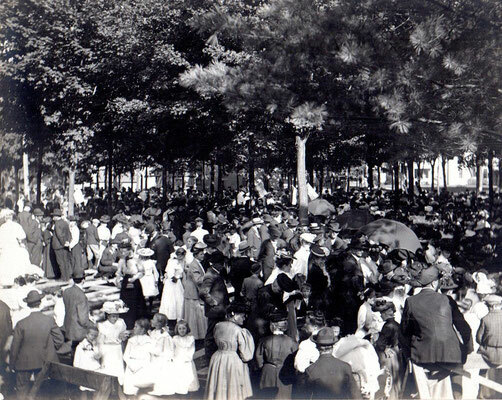 1887, August 31 A picnic to celebrate the dedication of the obelisk monument in the southeast corner. 1907, August 27 Another community celebration. Guests were seated at long tables. They listened to eight speeches by Dutch dignitaries and pastors. During this celebration, a book of information about all pioneer families was compiled into a thick, hand-bound volume, THE NEDERZETTERS, now in the Zeeland Museum's collection. 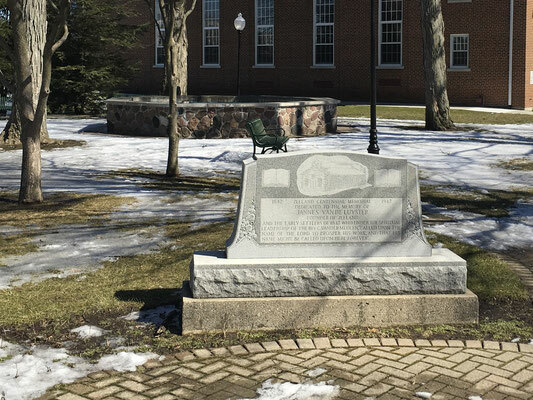 1922 The 75th anniversary, a Homecoming Picnic was held, honoring the erection of the Waterhuisje stone on Paw Paw Drive, commissioned as the last act of the Old Settlers Association. 1947 The 100th anniversary. Two memorials were commissioned: the granite monument at the corner and the fountain in the center. READ THE INSCRIPTION ON THE STONE. The fountain was designed and built by Peter Brill and featured a colored light display. The blond brick was covered with stone in the 1980s. 1976, October 1 A TIME CAPSULE was buried here for the U. S. Bicentennial, to be opened on July 4, 2076. 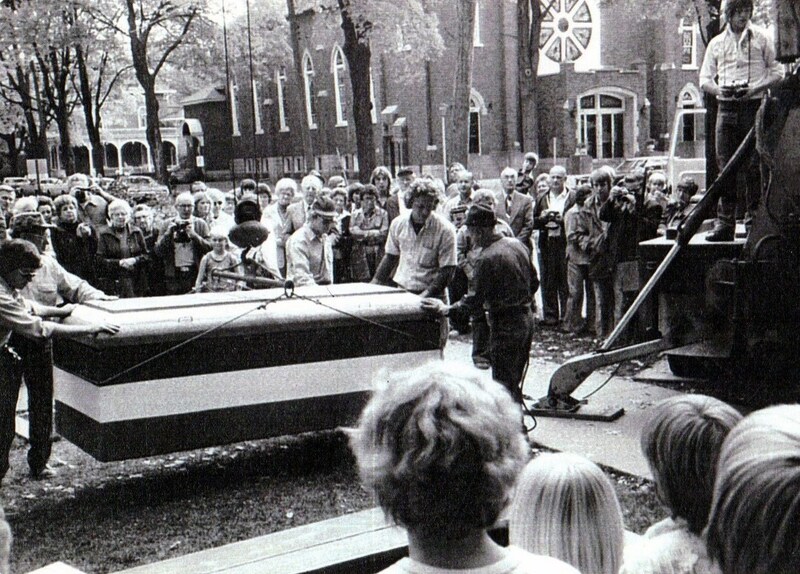 It contains items depicting life in Zeeland in 1976, sponsored by the Bicentennial Committee, the Community Foundation, and the Zeeland Historical Society. 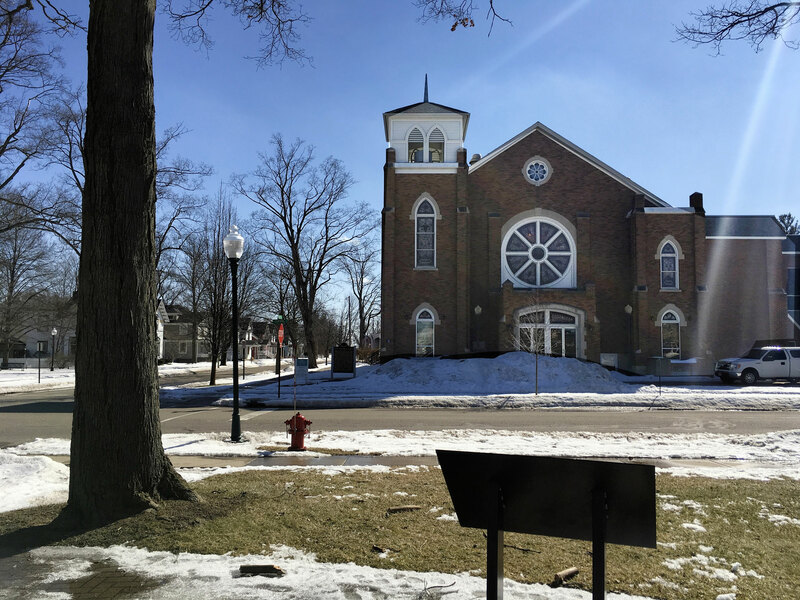 BEHIND YOU, ON THE SOUTHWEST CORNER, is First Reformed Church on the site designated by Jannes Vande Luyster for the permanent village church to house the congregation formed in the Netherlands and transplanted to this community. After the second log church was moved from this site, in 1866 a new wood frame church was built for $2,300 by Jan De Pree and Francois Van Bree, patterned after the church in Axle, Province of Zeeland, Netherlands. All wood was hand-planed for pews, flooring and siding. A stately bell tower contained a community bell, which rang at noon and six o'clock every day. The bell also tolled for funeral processions to the cemetery; one ring for each year of the deceased's life. 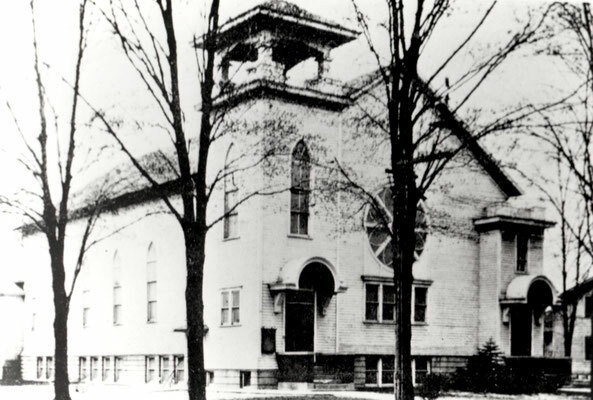 By 1917, the building received a full basement, two side-front entrances and a corner belfry. 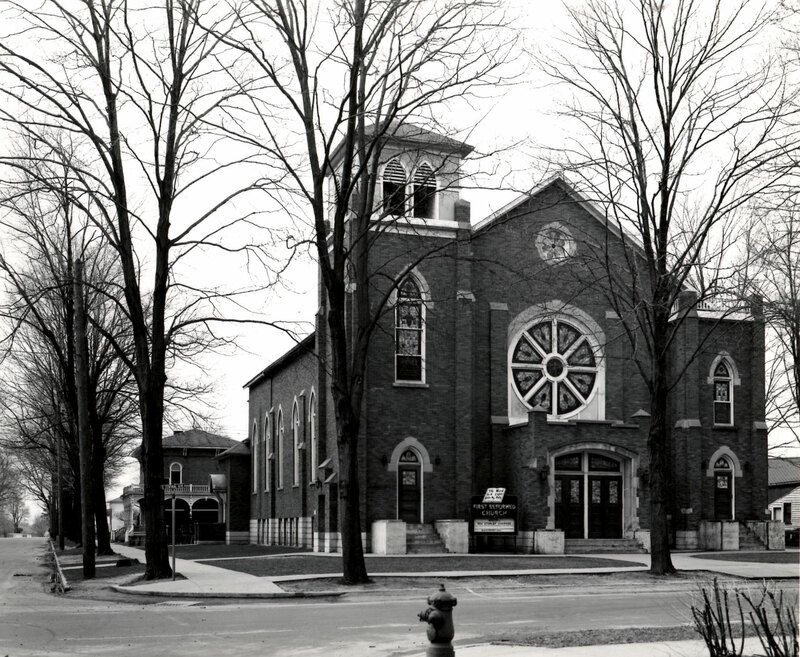 In 1919, the old wooden structure was covered in red brick. Many other additions have been made over its long history. 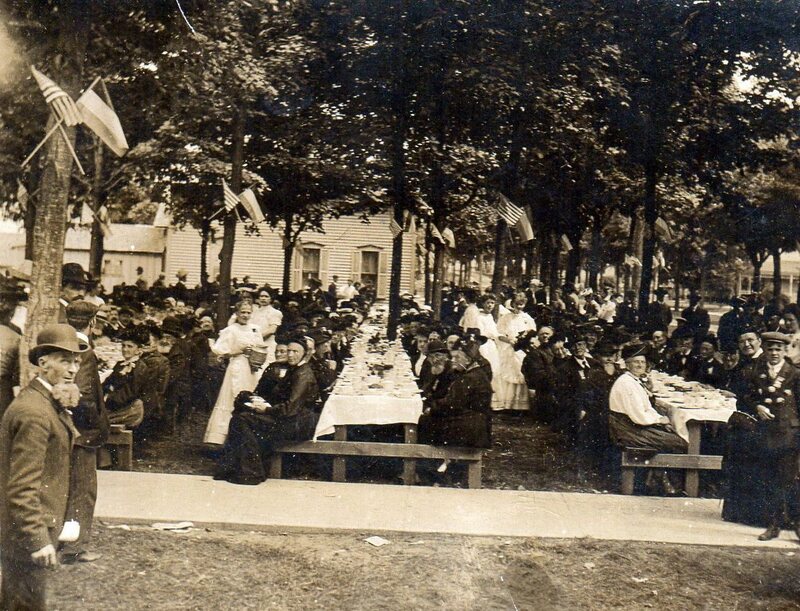 On May 30, 1943, the last service in the Dutch language was held on Sunday afternoon, long after local churches held all their morning and evening services in English. Many daughter churches have grown from this pioneer congregation.